By Thursday evening, the price of one Bitcoin was $1,271, according to CoinDesk's Bitcoin Price Index. Meanwhile, gold per ounce was priced at $1,235, according to Oklahoma-based precious metals retailer APMEX. This time last year, the price of one Bitcoin was $421.60. The value now floats around $1,200, more than tripling in the last 12 months. Gold, however, has been trading around the same price it was a year ago. “Gold has been going up but it hasn’t been rising as rapidly as Bitcoin," digital currency trader Brian Kelly said. One factor that may have led to Bitcoin’s price surge is an upcoming decision by the Securities and Exchange Commission on whether to approve a bitcoin exchange-traded fund (ETF) proposed by venture capitalist twins Tyler and Cameron Winklevoss four years ago. Bitcoins have many similar properties to gold — they have a store of value, are not controlled by one country or company and are scarce, with a limited 21 million available. Bitcoin, however, can be traded more easily than a heavy piece of metal. According to the International Business Times, more than 100,000 merchants around the world accept Bitcoins as a form of payment, including Microsoft, Dell and Expedia. "You can't walk into a Starbucks today and carve off a little bit of gold to buy your cup of coffee, but you can pay for it with Bitcoin," said Adam White, head of GDAX, the largest U.S.-based digital currency exchange. White, who believes digital forms of currencies are no flash in the pan, said early adopters are driving up the price. 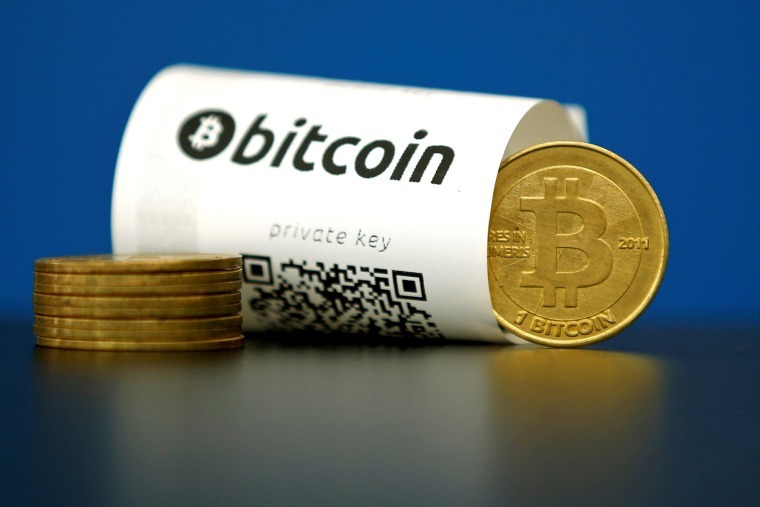 The number of people using the Bitcoin network has doubled over the last year, he said. "Bitcoin has inherent benefits over gold that gold can't compete with," he said. "Bitcoin is not going away. This new asset class, which Bitcoin represents the first of, is sticking around." Still, White said Thursday's milestone is largely symbolic. "The units of measurement are very arbitrary. For us, we're focused less on the price, and more on how the fundamentals of the Bitcoin network are doing." Peter Schiff, CEO of Euro Pacific Capital, is more skeptical of Bitcoin's future. Speaking on CNBC-TV Monday, Schiff called Bitcoin a "digital fool's gold." Schiff and other skeptics argue that despite Bitcoin reaching an all-time high in value this week, it is not as viable as gold. While thousands of vendors claim to accept the cryptocurrency, Schiff says merchants are actually being paid in dollars. Schiff said that BitPay, a bitcoin payment service provider founded in 2011, works with vendors to convert Bitcoin to dollars after an exchange takes place. "In theory, I can give a coffee merchant my Bitcoin. But no coffee merchants actually do this. They accept dollars," Schiff told NBC News. "Bitcoin isn't used as money. Its just an asset that you liquidate, and you get money. " Schiff predicted the price of Bitcoin will likely come crashing down soon, calling the digital currency "a lot of hype" with no inherit value. "The early adopters, the guys who got in on this cheap, need to create a market so they can sell," Schiff said. "That's why I compare [Bitcoin] to beanie babies."